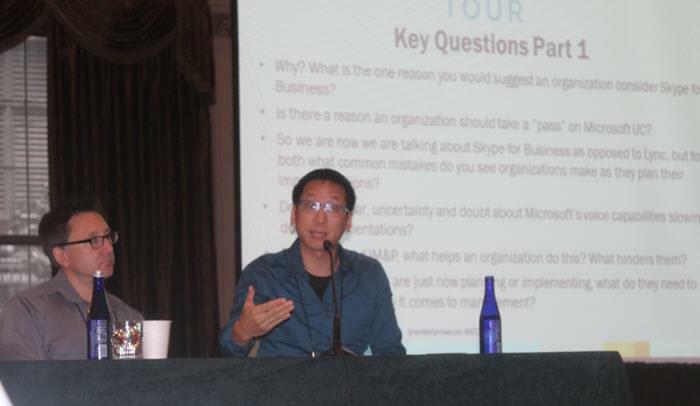 A variety of Unified Communications industry leaders offered up sage advice to businesses of all sizes and types on making the move to Microsoft’s Skype for Business at Enterprise Connect’s Lync/Skype for Business tour in New York on Thursday. Business leaders from companies including Polycom, Connect Solutions, Sonus, AT&T and more, led panels discussing the pitfalls and benefits of implementing Skype for Business and a Unified Communications solutions in general. The panelists noted that there was an increased embrace of Skype for Business due to its brand recognition and consumer-friendly interface. Companies are increasingly moving to UC solutions mostly for reducing telephone costs by converting antiquated telephony systems to SIP trunking (for more on SIP, check out “SIP vs PRI: Head-to-Head“), getting rid of PRIs and consolidating PSTN lines. 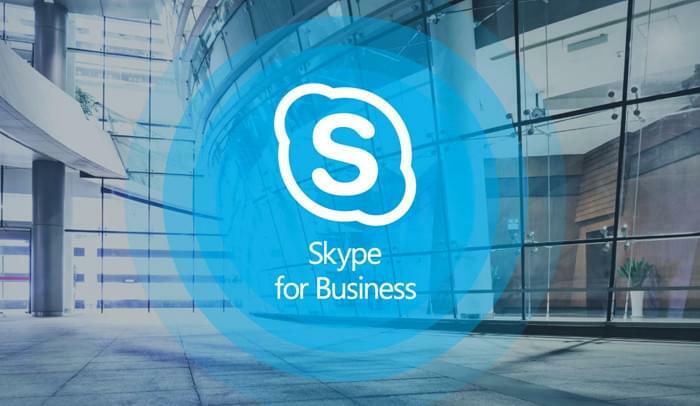 The Skype for Business client can also add productivity enhancements such as the Click-to-call feature for quickly connecting to contacts. The panel also agrees that Skype for Business can remove cycle time from critical business processes since it is not just PBX replacement, as per the panelists, but also provides instant messaging, presence, conferencing and other business communications. 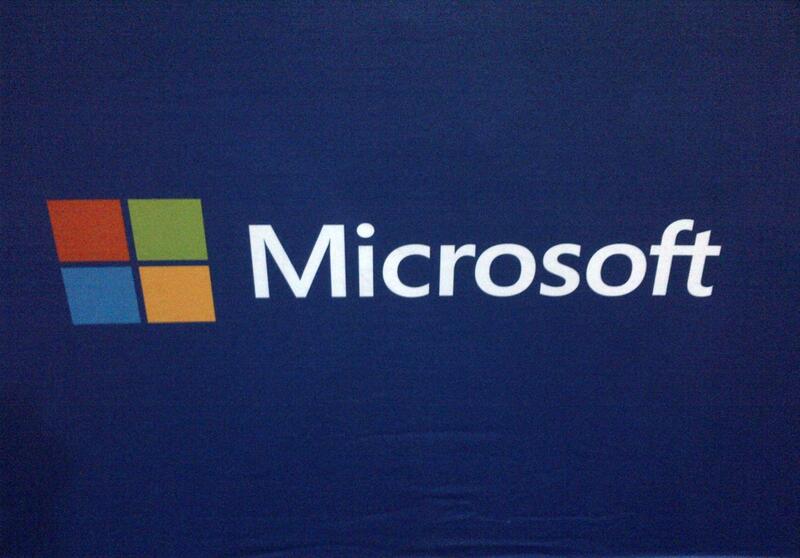 Mistakes to avoid when deploying Skype for Business was an additional key portion of the panelists’ discussion. Businesses would be well-advised to do necessary network upgrades such as optimizing bandwidth and implementing QoS (Quality of Service). Another mistake organizations make before planning a Skype for Business deployment is not considering existing fax and needed analog lines. 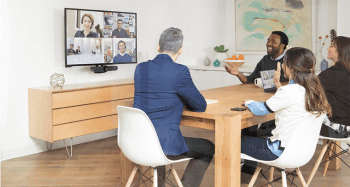 Skype for Business does not have native support for analog lines but internetworking devices such as mediation servers can make analog lines a fit into an IP-based UC solution. Security is yet another factor to weigh. A hardened firewall is a must before deploying SFB. It’s a lot easier to send a DDoS attack to a SIP trunk than to PSTN lines. Active Directory integration is also a critical factor to consider for a successful SFB implementation. As an organization moves to SFB, AD becomes more central. SFB uses AD for pertinent call routing. 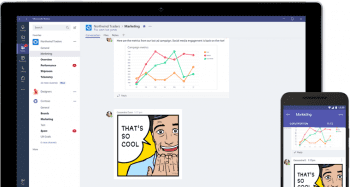 In addition to the reporting and analytics that Skype for Business offers, companies should track internal analytical information such as what are employees currently using as communication endpoints? Will there be a learning curve to switch them to different devices? Businesses should also keep tabs on specific metrics such as at which percentage of VoIP traffic causes the most server load. It’s also easy to forget how imperative Session Border Controllers are when deploying Skype for Business or any VoIP/UC solution. SBCs are network appliances that can secure networks, interconnect SIP variants to ensure interoperability, and act as “traffic cops” to keep SIP traffic running smooth. Not planning for business continuity is also a mistake businesses make when deploying a UC technology like Skype for Business. WAN link redundancy and High-Availability SBCs, especially in large, multisite organizations, should all be part of the deployment plan. The panelists also stressed the need for end-user education and training. Letting staff know that the UC experience may vary when they are connected to a busy Starbuck’s network can help diminish complaints.